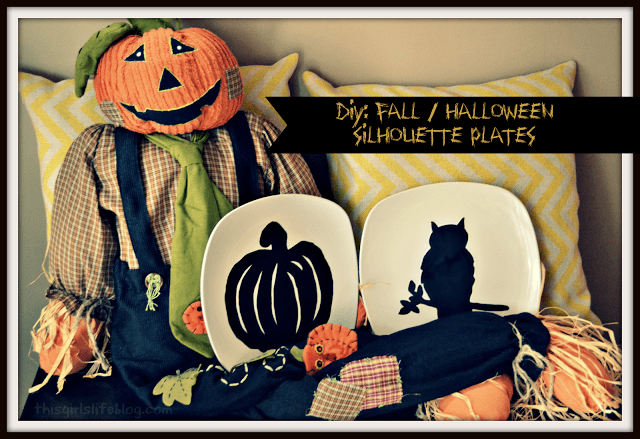 Halloween Silhouette Plates - DIY Dollar Store Crafting! 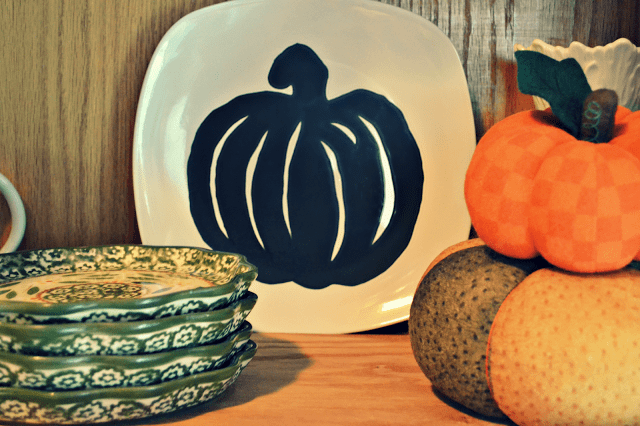 Halloween silhouette plates are an inexpensive and incredibly easy way to decorate your home this Halloween season. It’s finally one of my favorite blogging times of the year. Last year I ran across some Halloween silhouette plates in a magazine and knew I wanted to try and remake them myself. They are an easy and inexpensive way to add a little holiday fun to your home. 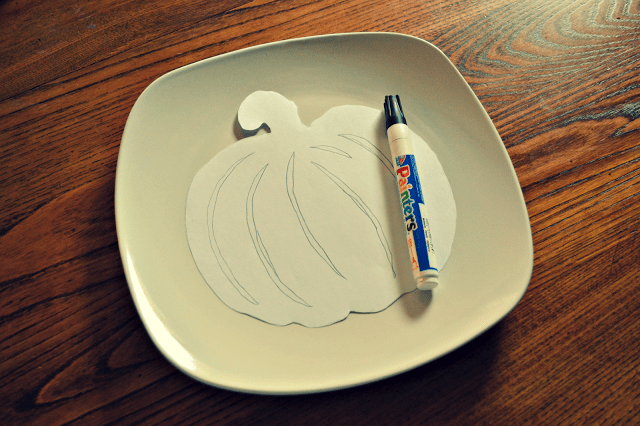 All you need is white plates and black paint. I used a paint marker because I had one already on hand. You can tell I used a marker style paint on mine if it hits the light just right but that doesn’t really bother me. If you want it completely opaque then I would suggest just painting it with a brush and acrylics. I picked up the white plates at Dollar Tree so the entire two plates cost me $2.16 total. How is that for a cheap but fun fall decoration? If you don’t have the paint on hand it may cost you a few extra dollars but still a very inexpensive DIY idea. You could even search for some white plates at the thrift store. Sometimes you can pick them up for .50 a plate. I printed and cut out my designs and then traced them lightly on the plate with a pencil. After I got the design on the plate I started painting it on with the paint marker. There are all sorts of great designs on the Internet like pumpkins, owls, witches, bats, cats, etc. Just find your favorite design and get to printing. I even checked to see if there were some Christmas designs that would look good on a silhouette plate. I’m thinking a nativity scene on a set of 3 would be awesome. 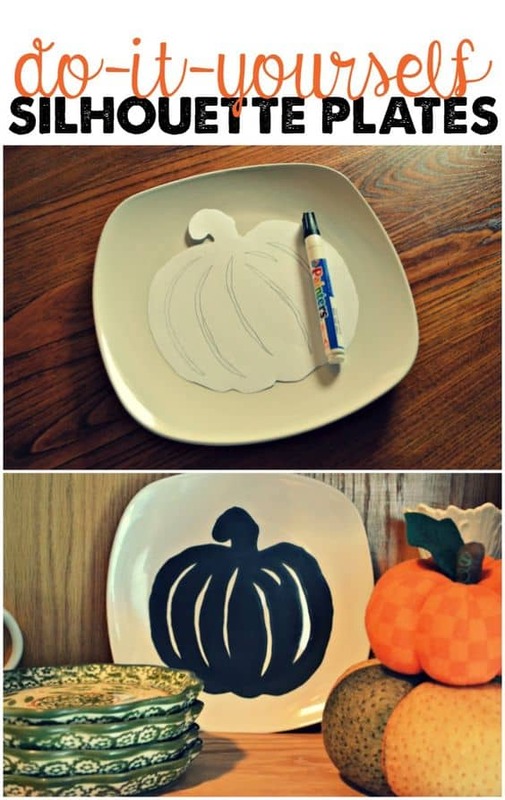 Some other ideas to create these silhouette plates would be to use black vinyl, Halloween and/or Fall decals or spray painting the plates black and the silhouette would be white (reverse effect). Don’t want to DIY your own? Check out these you can purchase. I love this idea! I have a set started with writing The Raven poem on the plate with a raven on it too. It’s fun to create your own dishes!